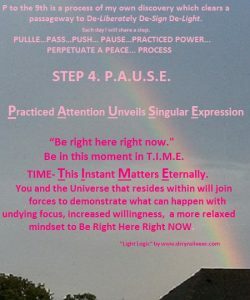 JULY 2017 LIGHT LOGIC TIP #18 P.A.U.S.E. Am I Living Right Here Right Now or Am I Re-creating A Past Moment? An exchange of words ensues. A situation presents itself which challenges our sensibilities. It feels uncomfortable or disturbing or something just does not sit “right” within us. It c onjures up emotions that are unsettling. So, what just happened? Do we pause and reflect? Do we simply rerun the tape in our head of “he said she said” (just using the pronouns for distinction)? How does that feel rerunning the tape? Is there a feeling of resolution, of obsession, of being “right”? 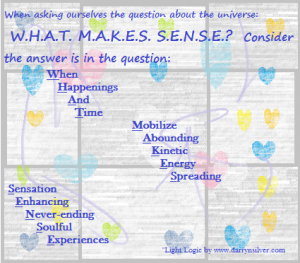 Do we inquire as to where those emotions that surfaced live in our bodies? Do we allow ourselves to physically feel the associated sensations or do we dismiss the exchange (and ourselves in the process)? “What was the earliest time in my life that I felt this sensation/emotion?” What was the “dynamic” that was originally created AND unfolded NOW as a result of how we absorbed the situation back in its inception? We absorbed it because it was an energy entering our space. It permeated the cells of our being and lodged themselves to be revealed and cleared at a later point in time. Why? Because we perceived that it was too dangerous to experience the fullness of the emotion/feeling in our early years. It was self-preservation aligned with our survival instincts. 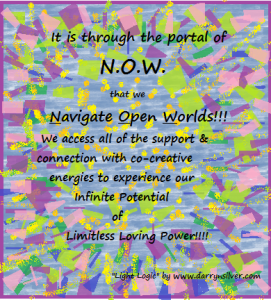 In the current N.O.W., we deflected the emotions/feelings (somewhat) by reacting (unconscious). In yesteryear, we soaked it up and took it in in whatever way our system/psyche found to be the most adaptable and palatable. So when I say “dynamic”, I am referring to the essence or the underlying energy of the exchange, not a literal circumstantial (situational) match. Can we see what we are creating? Are we living in the past and allowing it to be brought into the light of day over and over and over until we are conscious of it and have the wherewithal to shift? Are we aiming to come to the realization that we are the designer of our journey and we can be deliberate if we embrace all of our conscious know-how in the moment? If so, that is a great start because it is reflecting that there is some level of curiosity into understanding our presenting life circumstances. So, the key is to catch ourselves in the exchange and notice the wound, the hurt, the facet of ourselves that is beckoning to be loved, embraced, acknowledged, recognized and honored. When the challenge bubbles up to the surface and is able to be discerned clearly as a beneficial experience (and grow to understand it was by our own design), it makes it that much more viable to enhance our awareness and make more deliberate selections. 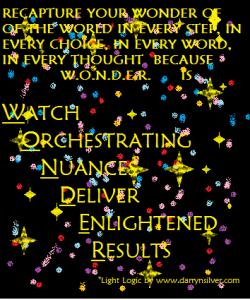 Then, we tweak the nuances of mastering our path. It is an epiphany in process!! Nothing happens by accident. We are powerful beyond measure and most of us have not come close to experiencing the fullness of our power (including me). That is part of our journey: to viscerally FEEL the power of love and all of its potential to flow through us. Love is not just soft, sweet and undulating, it’s powerful! 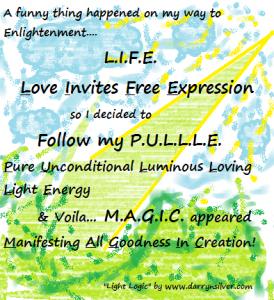 Pure Unconditional Luminous Loving Light Energy! We don’t necessarily always believe that we are PULLLE nor do we know what PULLE feels like so we create these situations to bring us closer to our authentic nature. Just for context, this is a heterosexual married couple. It is morning when the actual exchange occurred. Man: Do you know where it is? The man and woman decide to PAUSE, sit down for breakfast as the man remains perturbed and upset. Man: Why do you have to speak to me like that? What was going on in the man’s internal experience? The man had a responsibility with an individual outside of his family unit and that person was not responding to his texts or emails. It had been weighing on him. He had not been feeling acknowledged, recognized and respected. He felt a sense of responsibility for this other individual but powerless in the engagement of that person to communicate. Where was the woman’s behavior prompted along her life’s timeline? The woman perpetuated a pattern of early conditioning that there was no room for error. Everything must be in its place. She mastered a sense of completion through the vehicle of hypervigilance as a survival mechanism. When asking the man what he felt in his body, he responded, “A sense of panic”. As he stayed with the emotions, sensations of heart palpitations were noticed. As we ventured down and into his body a deep sense of aloneness surfaced. His feelings of disconnection “within himself” manifested in the breakdown of communication between the “outside the family” individual and himself. The woman was asked to sink down and into her body. The “annoyance” was an energetic flashback which was synthesized into her body. Remaining in her head, like so many people do, was a protective measure to avoid the ancient energetic assault (not literal assault but just as impactful or even more). 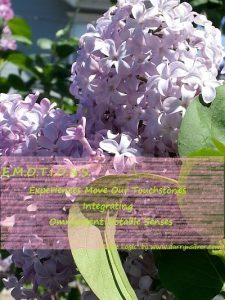 We worked with some energetic meditations and, as she released into her heart, she came to the “experiential” understanding that living in her brain acted as a survival mechanism. Her body shuttered, releasing some current NOW anxiety which was associated with the hypervigilance tactic used for survival many years ago. Although subtle now, her hypervigilance and keen alertness kept her safe by desensitizing herself to her environment. As she grew older, the anxiety dissipated to a dull annoyance allowing her to perceive it as something outside of herself. She learned through techniques of efficiency, effectiveness and prompt responses to situations to maintain the illusion of feeling safe and secure. Now that she no longer needs that coping mechanism, the annoyance was allowed to bubble up to the surface so that she could “perceive” her old energies of insecurity. She was able to clear it by feeling it and owning that her partner’s forgetfulness was designed by both of them for her to pristinely see their mutual wounds and clear them. She returned to a level of innocence and sensitivity. She no longer had to repeat the “learned” behaviors that were modeled to her. The anesthetization began to thaw through the experience of “feeling” a new association with circumstance. There were new neuropathways being carved for both of them. This is a great practice to ground yourself especially before a big presentation, even, communication or if you are simply in an anticipatory state of mind. Stand still with your hips should width apart. Feel your feel on the ground and rock your pelvis slightly forward and back until you find the sweet spot of balance. Imagine that your feet are the roots of a tree digging down deep into the earth. You are safe and secure. Allow your awareness to move slowly up through your ankles, calves, knees, thighs, pelvis, hips, abdomen, solar plexus, back, heart center, upper chest, throat, jaw line, ears, nose, eyes, forehead and come out through the crown of your head. This entry was posted in Blog on June 24, 2017 by darrynsilver.